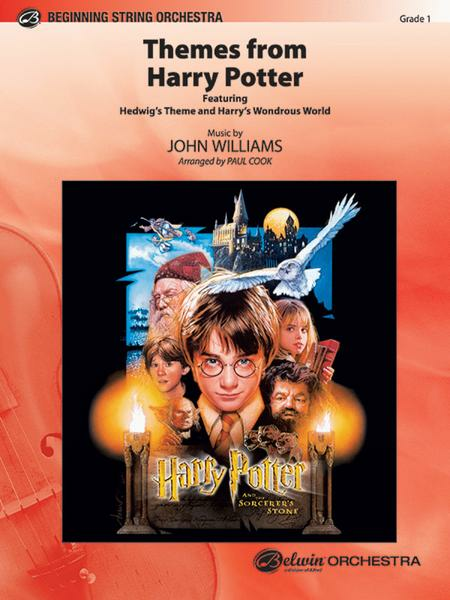 Two of the most memorable themes from Harry Potter and the Sorcerer's Stone are scored for beginning strings with the colorful textures and flowing melodies intact. The chromatic nature of the harmony is staged in the accompanying piano part, which lays a solid rhythmic foundation. This combination of "Hedwig's Theme" and "Harry's Wondrous World" is approachable during the second year of instruction or with ambitious beginners. These themes will certainly please students and audiences alike. (2:10).